They care about my dog and it shows! My dog has been going to Woofers for 2 years now and I wouldn't take him anywhere else. In fact, he wouldn't let me. I have also boarded him there and had him groomed. I buy his food and treats as well as a collar or toy when necessary. They care about my dog and it shows. The place is always clean, they alert me of any infections that may be potentially there or if they noticed anything with my dog. The food is priced just as well as the large stores only I know it's good because they feed it to their dogs. The staff is always friendly and courteous. I have had my dog at 2 other places and never once did he jump out of the car to get inside like he does at Woofers. Besides that, he obviously loves the staff as he is always happy and playful with them. My dog gets "the blues" if he misses on going more than 3-4 days. The facility is clean and has ample space as well as safe for all sizes and temperaments. They watch the dogs carefully and there is directed play so your dog will be active to his or her level and not just sit around. I know my dog wouldn't be as great of a dog without the loving staff at Woofers. I am so grateful. Kody is thrilled to be part of the Woofers pack! My Kody absolutely LOVES his Woofers family! When I say, “Are you ready to go to school?” he knows exactly what I’m talking about. He knows the drive to Woofers very well and gets more and more excited the closer we get. When we pull into the parking lot, he goes absolutely nuts! And when we get inside, he practically jumps into the loving arms of his extended family. As a puppy parent, nothing makes me feel more at ease than knowing how much he loves being in daycare. All the staff know him by name and make a big fuss when he arrives. And on the occasion that he stays home sick, they always miss him and check in to see how he’s doing. Cathy and her staff are an absolute God-send. They aren’t just running a business. They truly love every one of “their” dogs. Kody is thrilled to be part of the Woofers pack and I am blessed with the peace of mind of knowing he is well cared-for and loved. We are so blessed to have Woofers in Florence! Woofers was and is an answer to a prayer. I rescued a puppy and needed a place she could go during the day to be watched and to learn socialization. Woofers was that very place. It has now been almost 2 years and my dog has been there almost every day. The Foxes and all the staff care for her as if she was theirs. It is so rewarding and uplifting to observe the care, compassion and love given to all the dogs at Woofers. We are so blessed to have Woofers in Florence. We really appreciate all the love and care! We really are appreciative of all of the love and care you and your staff give to Sherlock. I have recommended Woofers to others and am happy to keep doing so! 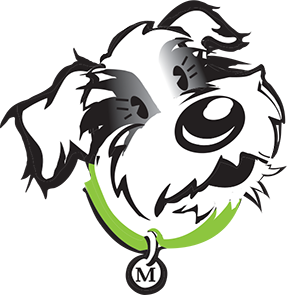 We have had the pleasure of being Woofers customers since it re-opened with new owners back in 2012, for our female terrier. We use the excellent daycare facility, including boarding whenever we travel, top quality grooming, and also buy all our holistic dog food all at a very competitive price. This is an incredible Family business, who tailor care for each individual dogs needs depending on breed, size, energy, and any medical needs. The dogs are always safe, the facility is well kept and is continually improving. The staff are all friendly and experienced, and your dog will quickly become part of the pack and the extended Woofers family, as all are cared for like their own. We have a happy healthy dog, who goes banana’s with excitement when the “W” (oofers) word is mentioned at home, testament in itself on how excited she gets when she knows it’s a Woofers day, at the end of which she crashes out as she has been super exercised all day! Owning a dog is made easy by the excellent facility that Woofers operates.